CEO. CFO. CTO. CIO. CWTFO? In the corporate world there are a dizzying number of workplace titles which vary from company to company and often between countries. And when ambition and hierarchy are at stake, what you are called means a great deal. Today, more and more titles are being created, not only to fully represent an employee’s position and duties, but also because new technologies and business practices have created the need for brand new jobs. If you are a high level executive, you have arrived at the ‘C-Suite’ and will likely be a Chairman of Chief of...something. Generally considered to be the ‘big cheese’ in any organization, responsibilities usually involve advising a board of directors, motivating employees, driving change and presiding over the company’s day-to-day operations. Sometimes called Managing Director or MD (though less so these days), a CEO is the ultimate role in business leadership. The Chief Operations Officer is responsible for the daily workings of the company, and, being second in command to the CEO, is required report to them routinely. They sometimes also carry the title of President, which is a little confusing as their role is very similar (in terms of politics at least) to that of a Vice President. 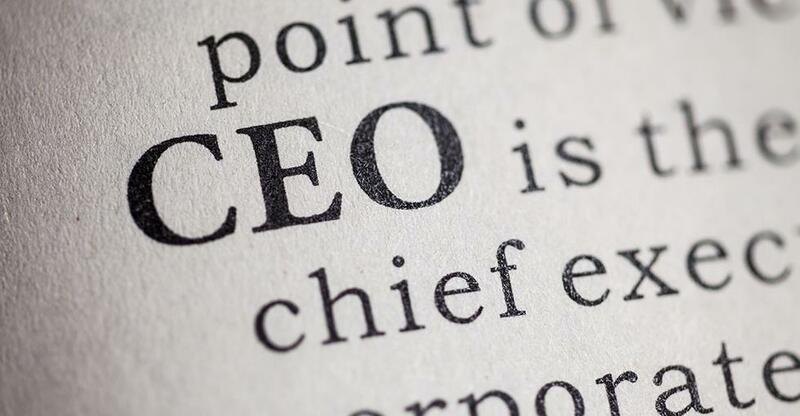 Depending on the nature of the company and needs of their CEO, the duties of a COO can vary greatly. Let’s face it, making money is the primary aim for every business so the Chief Financial Officer has earned his place in the luxurious ‘C Suite’. The CFO’s duties include managing the financial risk of the business, as well as planning, record-keeping and data analysis and they usually report directly to the CEO and the board of directors. In recent years the role has evolved from just financial stewardship to a position of vital strategic power. The CEO will rely heavily on the direction given by their CFO in all progressive moves. The title is fairly ubiquitous globally, but in the UK, you might find the position labelled Finance Director. Besides these three, who typically form a triumvirate of power at the top of a corporation, there are some other, sector-specific, roles that have taken on ‘C’ status. The CIO must manage their company’s portfolio of assets, design strategies for growth, liaise with investors and recognize and avoid serious risks. A CRO is accountable for enabling the effective playing out of significant risks and related opportunities. The risks may be strategic, reputational, operational, financial or compliance related. It is vital that the CRO ensures all these activities comply with applicable regulations. This is an executive level position and involves the overseeing of all technological issues within a company. The CTO generally focuses on technology which relates to products being sold to customers or clients and is responsible for managing the development of new technologies. They will report directly to the CEO. Working in the same sphere as the CTO, the Chief Information Officer’s role leans more towards solving internal organizational issues by adapting existing technologies (especially in IT). The CIO will focus their energies on the technology needed for the smooth running of the company and maintaining software platforms for any new applications. Largely found in well established companies in competitive sectors, where brand management is a high priority. The CMO presides over areas such as sales management, product development, marketing communications, pricing, market research and customer service and reports directly to the CEO. A marketing officer with a creative twist, a CCO is typically found in companies who sell imaginative products such as advertising agencies or design studios. Also commonly known as a Creative Director, the CCO is responsible for the overall look and feel of marketing, media and branding and managing the company’s creative teams. Beyond this there are a great deal of lower ranking C –level titles are specific to the preferences or cultures of specific businesses. These can range from the inclusive (Chief Diversity Officer) to the intellectual (Chief Academic Officer) or even the mentally nimble (Chief Agility Officer)! We think we’ve covered the main appellations in the corporate world, let us know in the comments if there's anything that still baffles you (including the word 'appellations' - ed) !